Fortress Of Freedom Board :: View topic - Fortress On Tour - September, 2010! Fortress On Tour - September, 2010! Posted: Sun Sep 12, 2010 1:14 am Post subject: Fortress On Tour - September, 2010! 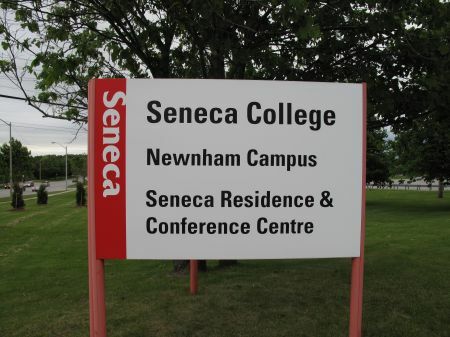 We are now distributing our latest paper to Ontario universities as it is the start of another school year and have a little travel log of our paper route! 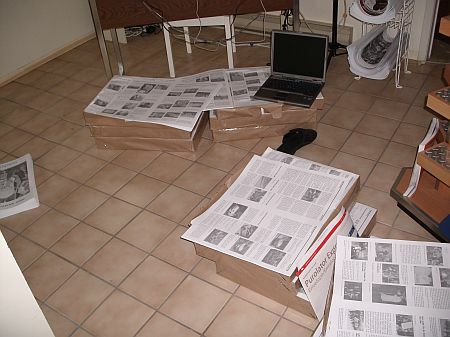 It starts with us opening a skid load of newspaper and collating and folding the papers to produce a newspaper. Then the stacks of papers get hauled out to the various universities out there. 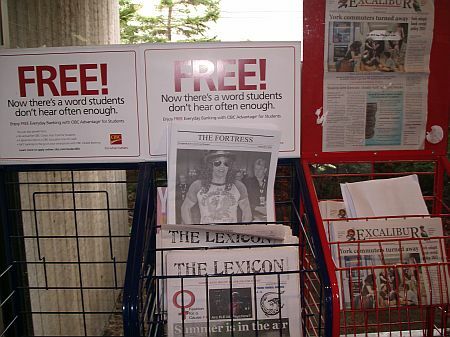 "Part of the fun of making an issue of The Fortress is actually making the newspaper and distributing it "by hand!" Some things internet papers miss is the real distribution by "in your face" physical accessibility at selected locations. The old fashioned way. Printing a paper is still a bit of "black magic" as the printing process is not what you give them is what you get. It is more esoteric and took a few years to get right. When we get the papers they are just sheets that have to be collated and folded to produce one paper. Then we physically drive down to the universities and place the papers in selected spots for maximum exposure. Sounds like much expense and work and yes it is! But the rewards are what keep us at it. Below you will see some of our favorite locations and the competition from other papers we face." 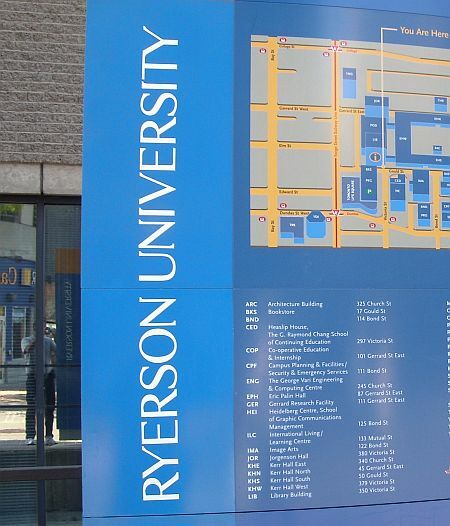 I went to Ryerson in the 1970's and I am back with our little paper! The only competition right now is the colorful Eyeopenner and Free Press. We are still black and white but our unique form of editorial makes this a no comparison between the two papers. 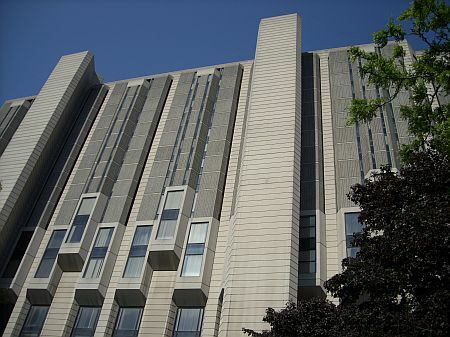 We target Robart's Library at the University Of Toronto and distribute anywhere we can find a wire stand. 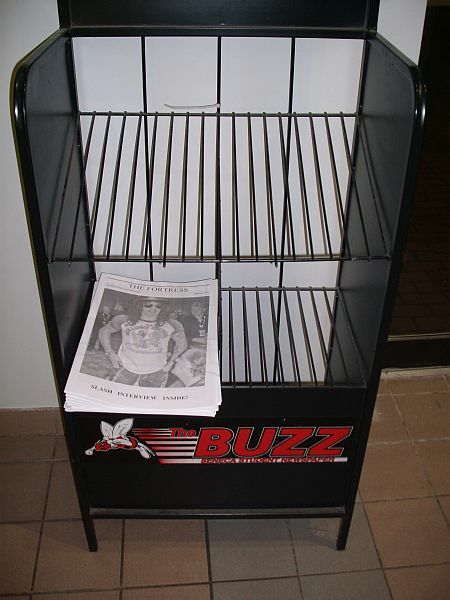 They have a real paper box newspaper there called The Bulletin. 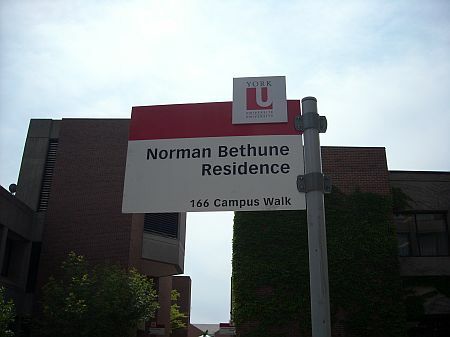 One of the Colleges at York University! 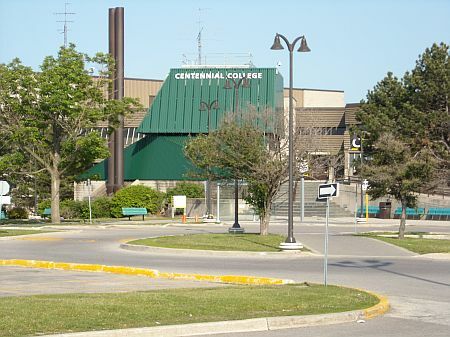 Main building at Centennial College! Another site for our rag. 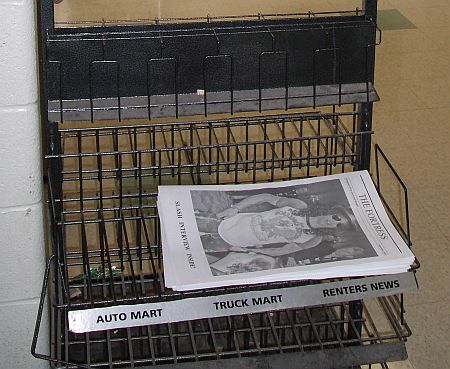 The main paper is The Courier and they won't be back till well the new school year so we just used their racks. 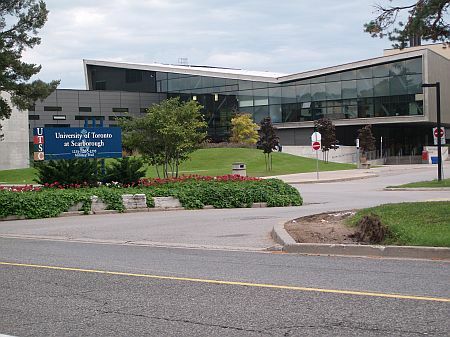 University Of Toronto Scarborough Campus! This is the U of T in Scarborough and is a different world to the university in downtown Toronto. Here we are up against "The Underground."